Golden Exits is a film about the over-lapping lives of people they don’t make movies about, as admitted by the film itself. Nick (Adam Horovitz), a mild-mannered archivist, is married to the increasingly depressive Alyssa (Chloe Sevigny), who is sisters of Gwen (Mary Louise Parker), a client of Nick dealing with the death of her father, who has an intimate relationship with the mentally troubled Sam (Lily Rabe), who is friends with consoling Jess (Analeigh Tipton), who is married to her boss Buddy (Jason Schwartzman). And all wrapped up in this is a young Australian woman abroad in New York (Emily Browning). Browning’s Naomi is a character that the film touts as a glorified siren, a sexual object to tempt married men whose unfulfilled lives send their ship close to the rocks. Her character, otherwise, is not much else. She is the object of conversation, that which is talked about without much of a voice of her own. Her male counterparts aren’t much better. Nick is a sad sack lonely man with few ambitions. Buddy is an aging hipster (Schwartzman’s perpetual role at this point in his career) who spins a fine web of witty lines without so much as a superficial ounce of depth in the words themselves. The most thematically engaging characters, in fact, are those on the fringes of the narrative. Gwen trying to live vicariously through Naomi’s sexually-charged youth (with Parker giving the strongest performance of the film in this scene). Sam engaging in a verbose introspective crisis of identity with a friend over drinks in the dark. These are the scenes that grip you, not the scenes where Nick gazes longingly at Naomi from across the cramped archivist office. 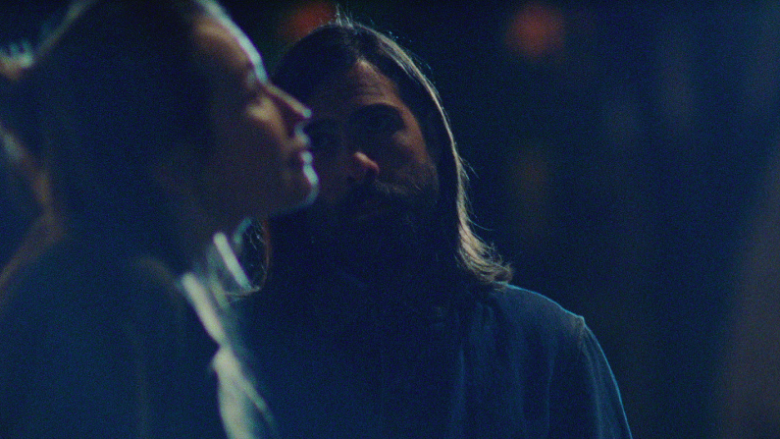 Golden Exits is a film told in ever-pressing closeups. The distance found in a two shot, by comparison, becomes extremely telling. The small depth cues in the shot structure are fascinating. The major pitfall of the film is that writer-director Alex Ross Perry does not trust his audience to catch his drift. Moments that succeed because nothing needs to be said are undercut by moments where Perry feels the need to have his characters monologue a finger to the nose of his central themes. In this way, conversation is both the film’s achievement and its downfall. It is intriguing and written with energy, but it leads the audience in a linear path to a meaning that would otherwise have a satisfying amount of ambiguity.